Editor’s note: PSP went down Thursday night and Friday morning, and we want to explain what happened. Basically, it was pretty simple: We ran out of server space. Yep, PSP got too big. We’re addressing it by upgrading to a new server with double the amount of space, which should occur sometime in the next few days (and may come with a bit of late night downtime for the site during the migration). It costs more, but it was going to be necessary eventually no matter what. We’re able to do it because of the support of PSP readers like you via Patreon. Thank you for that support and for understanding, and we’re sorry for the outage. 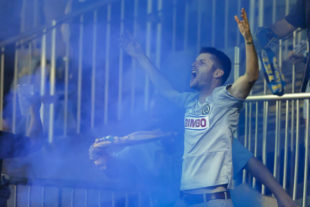 Philly.com looked at the Union’s matches for the rest of September. From the “Where Are They Now?” department: Danny Cruz. Today at 2:00 PM, the Union will reveal their mascot at the Philadelphia Zoo. Bedoya is supposed to be there. Who is that masked man? 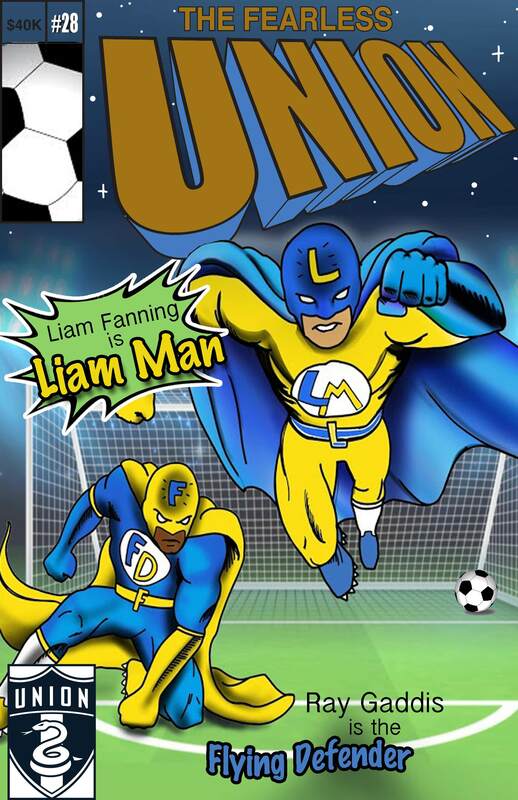 It’s Liam Fanning (and Ray Gaddis). The Union will also be unveiling a new Pediatric Cancer Initiative this Thursday at Keystone Comic Con. Bethlehem Steel FC saw its four-win road streak come to an end Friday night, falling to second-place Pittsburgh Riverhounds, 4-1. Atlanta United 2 won 2-1 at Penn FC. Carli Lloyd saves Sky Blue FC from winless season, then turns fire on troubled front office. The Columbus Crew‘s front-office staffers cope with the relocation saga. U.S. prospect Will Vint joined Atlanta United’s academy after leaving Man United. Last month, it was reported that he was going to trial with the Union. Antoine Griezmann, the France international, wants to finish his career in MLS, naming L.A. and Miami as possible destinations. USMNT lost to Brazil, 2-0, on Friday night, with Neymar scoring one of the goals. The Washington Post believes Wil Trapp is the USMNT’s new leader. Jermaine Jones retired on Friday. In a friendly, Germany beat Peru, 2-1. In Nations Leagues Qualifiers, Canada dominated the U.S. Virgin Islands, 8-0. He was a Canadian soccer star. Now he’s homeless and starving himself in a Toronto park on a lonely crusade for justice. Spain smacked down England, 2-1, and ManU’s Luke Shaw suffered a concussion. Christ, first he got his leg broken three years ago, and now this — maybe it’s time to hang up the cleats. . . .
What stage of late-stage capitalism is this? ya know what…..good for Danny Cruz. This is my 1st positive Union comment on any forum since 2011.
always enjoy hearing about the former U. been awhile. good for him. There was also a beautiful volley in that Senegal vs. Madagascar match. Made my day. I feel for the Crew front office people. Back in the day, I did several plant closures/plant relocations. We found that it was always better to be upfront, open, and don’t give false hope. It’s obvious that PSV was not upfront, has not been open, and in a sense with the business as usual malarkey, given some hope. I’m sure the “Save the Crew” effort also provides a hope that may not be justified. (personally, I hope they do “Save the Crew”) Advice to the staffers getting the pay to stay bonuses. Get out now. It’s obvious that you are highly regarded by current management, which means you probably will be highly regarded by your new employer. Leverage that and get out now. The $10K they are offering is not enough incentive to not pick you own time to move on. And believe me, if you are really critical to the continued operations at Columbus, they will up the bonus. I admittedly have not watched a ton of Crew games, but Trapp has always underwhelmed me when I’ve seen him with the USMNT. He’s seemed somewhat of a cross between Bradley and Beckerman, though not as good as either of them at the things they do best. I’ve read a lot of things about his leadership abilities, which are awesome, but on the grand stage I feel like he is always a little slow to make a pass, move to a space, and track a man. He is probably perfect for MLS, but I’m not sure he will cut it long term for the national team. Would he play over either of the 2 young CMs? Or even others coming up? I’m not sure. Now is the time to continue to blood those young guys though, because they were light years behind Brazil, especially without Pulisic there to create. glad the site fix was minor. Suggestion for the PSP funding: one-time expenses funding drives. i know the Patreon support (advocated for it; supported since day 1) helps but don’t be afraid to ask. those who would chip in outside or up the monthly donation. make a raffle for some swag or other low-impact incentive. I mean, given past experiences, I’m just happy it is more respectable than an intern with a tube sock.